The red brick exterior, white pillars and rounded appendages give Village Ford a colonial look that echoes nearby Greenfield Village, one of Henry Ford's pet projects. DETROIT -- The way dealer Jim Seavitt sees it, he won't have a whole lot to worry about if Ford Motor Co. demands that dealers improve their facilities to cookie-cutter design blueprints, as other automakers have required. That's because the design of Seavitt's Village Ford dealership in the suburb of Dearborn was inspired by Henry Ford himself. Indeed, the legendary founder's countenance surveys the floor from a black-and-white portrait photo on the showroom's wall. "He died the year I was born," says Seavitt, a trim, sandy-haired man with a penchant for boating, golf, tennis and skiing. The year of Henry Ford's death, 1947, was also the year a dealer named Stuart Wilson built the showroom at its current location, just three miles west of Ford World Headquarters. "I'm pretty set," Seavitt says. "I've never had any problem because of the historic significance of this place." Village Ford traces its history to 1910, when Henry Ford's second cousin, Addison Ford, opened the store. The original franchise agreement hangs on the wall. "Timeless" is the word Seavitt, 64, uses to describe the brick, wood and glass colonial-style design, which includes a distinctive hemisphere-shaped showroom. The design harkens to the colonial-style architecture found just two miles away at the Henry Ford museum and Greenfield Village, Henry Ford's collection of artifacts of American life and industry and the model village that embodied Ford's idealized view of American life. The showroom is the centerpiece of a modern dealership complex that now consists of about eight buildings spread over an entire city block. The so-called Rotunda design was inspired by the gear-shaped Ford Rotunda, a massive limestone structure built to showcase the auto industry at the 1933 Chicago World's Fair. It was later disassembled and moved to Dearborn, where it became a major tourist attraction before it was destroyed by a fire in 1962. Bob Kreipke, Ford Motor Co.'s official historian, says of the dealership: "The thing that makes that unique is that it did have a family connection. I have seen that dealership used many times in old commercials and training films Ford had." Jim Seavitt says that when new Ford CEO Alan Mulally showed up one day in 2006 to get a taste of the retail experience, "he was the best greeter I've ever seen." The store also helped train a key Ford executive in how auto retailing works. In 2006, a Ford employee named Alan Mulally drove over. The automaker's newly minted CEO made himself right at home. "He sold three, four cars that day," says Seavitt. "He was here for a couple of hours." Mulally didn't actually write up the sales contracts, but he would walk up to customers and say "Hi, I'm Alan from Ford," without further elaboration, Seavitt says. "He was the best greeter I've ever seen." Seavitt says his employees were "absolutely flabbergasted" by how naturally Mulally fit in. "They looked at this guy and said, 'He's got a common touch.'" Since that day, Seavitt and Mulally have kept in contact. The two talk about a dozen times a year. Other Ford executives have dropped by. Mark Fields, Ford's president of the Americas, used Seavitt's showroom as a backdrop to film a closed-circuit video announcing the new Fiesta subcompact to Ford employees three years ago. "I enjoy being right down the street from the Glass House," says Seavitt, using the local nickname for Ford World Headquarters. "I enjoy having a little better and deeper relationship with the people that run the company." Seavitt sits on Ford's national Marketing Dealer Advisory Board and is chairman of the 2013 Detroit auto show. Seavitt is a native of Allen Park, on Dearborn's southern border, and became fascinated by the auto business at an early age. "I was attracted by the history," says Seavitt, who is the son of a lawyer. From the moment he bought the store in 1982 for $1 million, Seavitt served notice that he would be a tough competitor in Detroit's quirky retail market, which is overwhelmingly dominated by the employee discounts that are extended to family and friends of Ford employees. 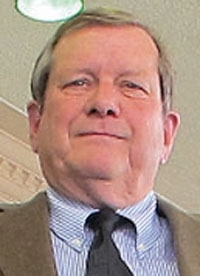 Seavitt, who previously had been general manager of a suburban Detroit Lincoln-Mercury store, was a product of Ford's dealer development program. If he hadn't succeeded, Seavitt believes the company would have wasted little time finding a replacement. "They wouldn't allow me to put my name on it," so he renamed it Village Ford because of the proximity to Greenfield Village. At the time, Ford offered mediocre cars such as the LTD and Fairmont and was still recovering from its Pinto fiasco. Seavitt wasted no time making a name for himself with a bold sales promotion. He blitzed newspapers with ads saying that for three days he would buy down the prevailing interest rate, about 11.9 percent at the time, to 6.9 percent. "Nobody knew how we did it. Sales jumped 50 percent," he says. "That put us on the map. Back then, nobody discounted rates like that. I was quite unpopular with other dealers right away." Since then, he has cooked up other interesting promotions. When Ford stock fell below $2 a share a few years ago, Seavitt offered customers 50 shares for buying a car. Those customers made a neat little pile when the company's shares recovered. 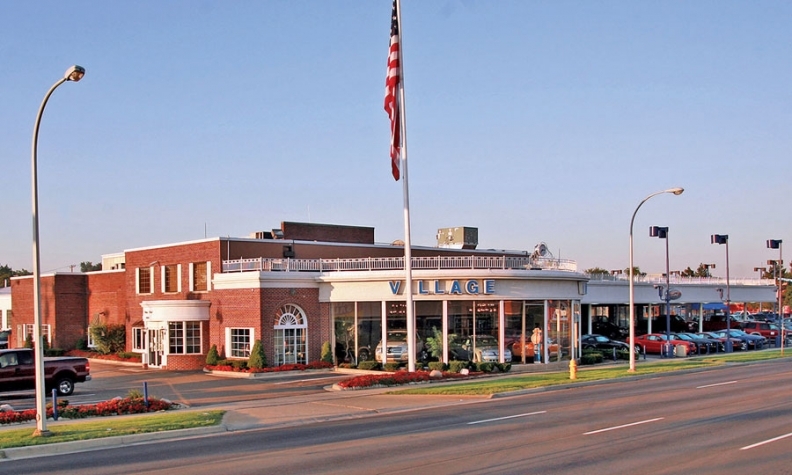 Village Ford has never returned to pre-2006 sales levels. The dealership is ranked 26th among U.S. Ford dealerships but has been as high as 14th. "We got hurt more than most dealerships when Ford took out 50 percent of their employees," Seavitt says. "We had to downsize our business." "We used to do 5,000 cars back in the late '90s," when he had 250 employees. In 2011, he sold about 2,600 new and 650 used vehicles, posting revenues of $105 million. The industry's wild roller-coaster ride of the past few years has been nothing new to a survivor like Jim Seavitt. "I have been through three recessions," he says. "I bought at the very bottom of the market. I lost money the very first month I opened, but I've never lost money again."